Improv comedian and MPR newsroom coordinator Denzel Belin was skeptical that he might find reason to connect with a play about girls growing up during the Civil War, but he's happy to say he was wrong. 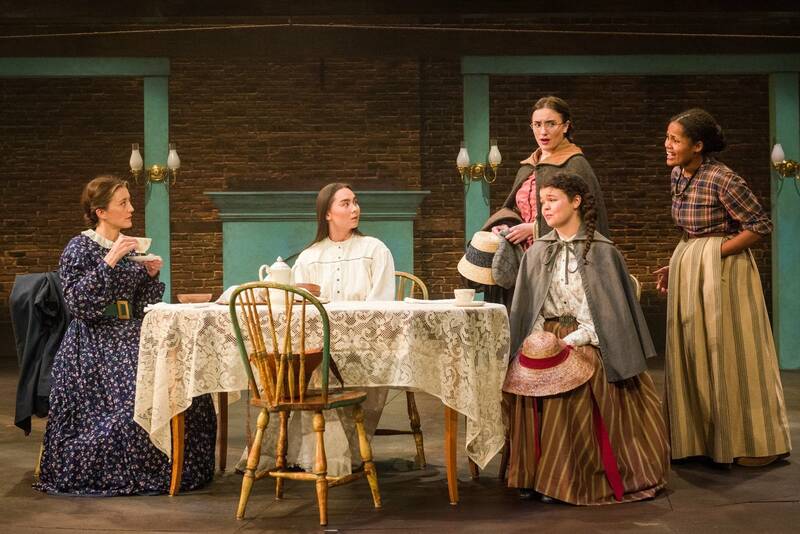 Belin says Jungle Theater's production of "Little Women" gives new life to the literary classic, infusing old characters with contemporary relevance. Now he just wishes playwright Kate Hamill would adapt all the other classics he had to read in high school, so that they'd be that much more meaningful to a young audience. Performances of "Little Women"run through Oct. 21. Hair and Nails Gallery co-owner Ryan Fontaine is excited about Christopher Selleck's new solo show at SOO Visual Arts Center. Selleck explores masculinity from the perspective of a gay male who spent much of his life closeted. Fontaine says Selleck's prints and photographs serve as a record of a time when being openly gay felt threatening, while simultaneously exploring the seeming conflict between hyper masculinity and gay sexuality. "This is a Record" runs through Oct. 27, with a closing reception on Oct. 25. Lanesboro Arts' Robbie Brokken says she had a blast seeing "Dracula: Prince of Blood" at Commonweal Theatre. Adapted from the Bram Stoker novel by local talent Scott Dixon, the show has its share of scares and drama, with a bit of seduction for good measure. Brokken says she was taken for a fun — if at times violent — ride, and thoroughly enjoyed the whole experience. Performances run through Nov. 11.